The UN High Commissioner for Refugees (UNHCR) has suggested that the Syrian government lied to the UN and broke international law when it secretly deported four Ahwazi Arab refugees to Iran in May (click here for UNHCR's statement). UNHCR spokesman Ron Redmond said the organisation was "extremely worried" about the four Ahwazis who Syria deported to Iran despite promising not to, and despite resettlement places already having been secured abroad for them. The Syrian regime, which is allied to Iran, lied to the UN that the four were in custody after they had been forcibly removed to Tehran. The British Ahwazi Frienship Society (BAFS) has learned that the prominent Ahwazi dissident Faleh Abdullah Al-Mansouri, a refugee who obtained Dutch nationality, is being held in Section 209 of Evin Prison, which operates as a torture centre run by the Ministry of the Interior. 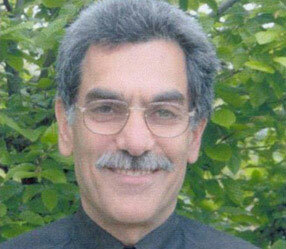 He had fled Iran after being sentenced to death in 1989 for his activities. Redmond appealed to Iranian authorities "to ensure the well-being of the four and allow for a fair trial and the right to due process." "Extradition does not mean that a refugee or asylum seeker loses his or her international protection status," he added. "UNHCR also appeals for access to the four refugees and we are prepared to find alternative solutions for them." In a statement released to the media, the UNHCR calls on Syria to abide by its obligations under international law and to ensure that the principle of non-refoulement is recognised. According to Article 34 of the Syrian Constitution, the deportation of refugees to countries where they will face persecution should be prevented. Moreover, non-refoulement is a principle of customary international law which prohibits states from returning a refugee or asylum seeker to territories where there is a risk that his or her life or freedom would be threatened on account of race, religion, nationality, membership of a particular social group, or political opinion. This principle has precedence over any bilateral or multilateral extradition agreement. Amnesty International has been among those who have accused the Syrian regime of defying international law with the illegal deportation of Ahwazi refugees.